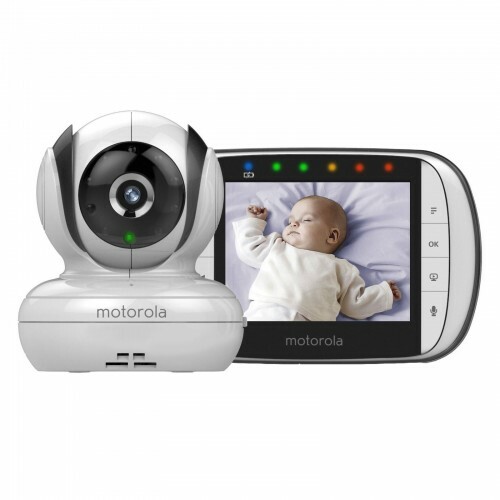 Featuring a 3.5" full-colour screen and an abundance of innovative features, the top-of-the-range Motorola MBP36S baby monitor also has a maximum range of up to 600 feet. 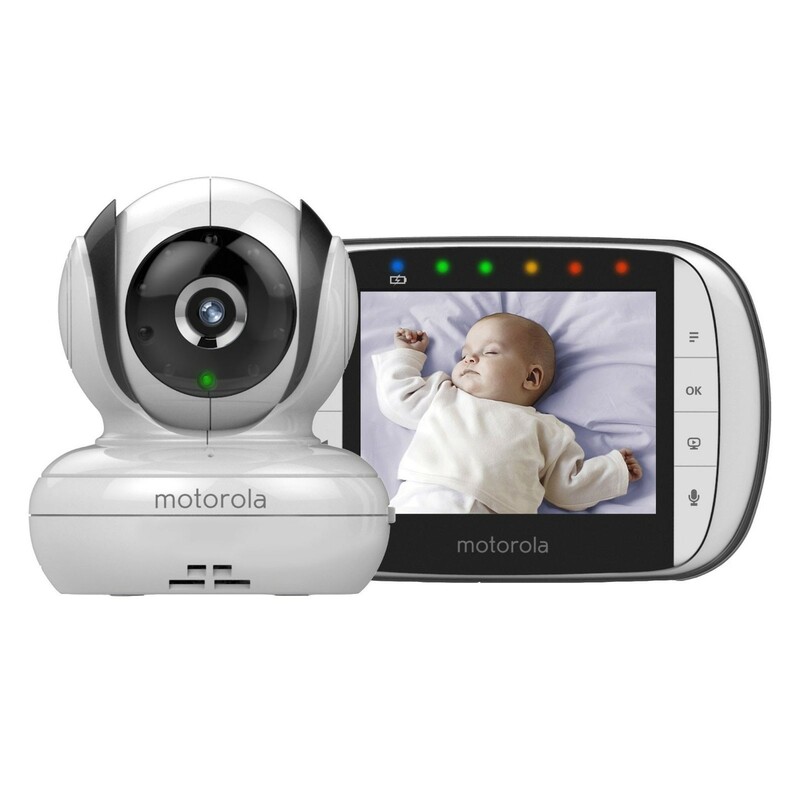 The generously large LCD display of the Motorola MBP36S allows you to keep a close eye on your baby no matter where you are in your house. The live video feed is presented in high resolution along with audio. The camera works perfectly during the night as well, thanks to infrared night vision support. The parent unit boasts a user-friendly interface, five LEDs to provide a visual representation of the sound levels in your baby's room and audible alerts for when it is out of range. Thanks to secure DECT technology and a multitude of extra features, the Motorola MBP36S provides any parent with peace of mind anywhere in the home or garden. Absolutely over the moon with this product. As a first time mum I wanted the best for my baby and this did not disappoint. Easy to setup and I've spent half the night staring at my gorgeous girl with the webcam, so reassuring to be able to see my baby and know she's ok, definitely recommend this!